When I became a mom for the first time almost ten years go I was clueless about car seats. Thankfully I did quite a bit of research and have continued to do so each time we have had a new baby. Car safety is a big deal and you shouldn’t just chose one because of the color (I know some mom’s who have as scary as it is) but this important purchase should be made with much thought. I know my family spends a lot of time in our van whether it is to play-date’s, shopping, activities, homeschool field trips or to church we are in our van a lot! This being the case car seat safety is very important! Which is why I highly recommend GB Travel Safe products. GB is committed to promoting car seat safety with their recently launched Asana35 AP car seat. With their unique features such as a 3-way FirmFit System which helps to provide a better, tighter, SAFER, fit to the car with minimal effort by providing 20 lbs of additional force. Giving moms and dads the peace of mind that their newborn is protected and riding in one of the safest car seats available. ~ Weekly winners will receive Babies “R” Us gift cards. You can simply enter this amazing sweepstakes by entering the giveaway form below or head over directly to the GB Travel Safe Sweepstakes Website. 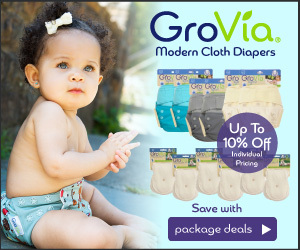 Gain extra entry points by watching a short video on the GB Asana35 AP, visiting the Asana35 AP product page on BabiesRUs.com, and pinning images from Pinterest and tweeting. Know any Moms with Babies “R” Us baby registries? Plus they will get extra points for adding the Asana35 AP to their registry! Stay up to date with the latest GB products by following on Facebook and/or Twitter. “I participated in a Blog Blast Activation on behalf of Influence Central for GB. I received a promotional item to thank me for my participation.” Mama to 5 Blessings is disclosing this in accordance with the Federal Trade Commissions 16 CFR, Part 255 Guides Concerning the Use of Endorsements and Testimonials in Advertising. Being a Grandmother… I am still clueless about car seats. I rely on bloggers like you to keep me up to date. By the way… We have a new Grandbaby on the way. That sounds like an awesome car seat. I have 2 sisters in law who are pregnant right now, so I will tell them about this. I always appreciate reviews like this one, thank you! Car seats are SO important. Car seats for kiddos are always a good one – better be safe than sorry as they say. It’s amazing how far car seats have come since my girls were babies. While we aren’t in the market for a new one now, I still like to stay up to date on all the new features as I’m sure I’ll have grandbabies some day! Having the right car seat is SO important. This looks like a great one- I’ll be sure to share this will all my mama friends. It really is. And they have come so far in the last few years. It is definitely important to have the right car seat. They’re so much safer now than ever before as long as you use them right. They definitely seem to have more safety measures. I wish I had one of these back when my kids were tiny. This is such a great looking carseat. They’re so different now than when my kids were in them. I love a good car seat. We are past the car seat stage but I have daycare kids that are still in need of them. HI Nicole, It is soooo much better having a safe car seat – I loved putting my son in one and feeling he was safe and could sleep – now they are even sooooo much better! What a great car seat! This would be great for my sister. I love reading car seat reviews. Who knows when or if I may need another so finding the best of the best is important. Car seats aren’t to be missed around with! When you do become a mom trust me you will do your research! My sister-in-law is due anytime now! She would probably love a car seat like this one! That looks like a super sturdy car seat. I think this would make a great baby shower gift. On top of getting a sturdy car seat it needs to be installed correctly When my kids were babies the fire dept. would check them for free. This sounds like a great brand for those in this baby market. I had not heard of it before. I wonder if they make boosters? Looks like a cute car seat for babies. Babies safety is more important while traveling. I think this Asana 35 car seats would be a very comfortable seats for them. Will have to check this out for my new born. Thanks for sharing it. This looks like SUCH a nice carseat! They sure have come a long way in recent years. Glad to see infant safety has become a priority! When my girls were little car seats were one of things I made sure to research. When my oldest was 9 months old we had a car accident, but she wasn’t hurt bc of the car seat . A good car seat is very important. I’ll have to check this one out and see about getting it for my friend who is pregnant right now. I can’t believe how advanced car seats are becoming! This looks great! I know a few friends that would benefit from a contest like this. I’ll have to tell them about it!